Creative workspaces with the Manual Thinking Box! 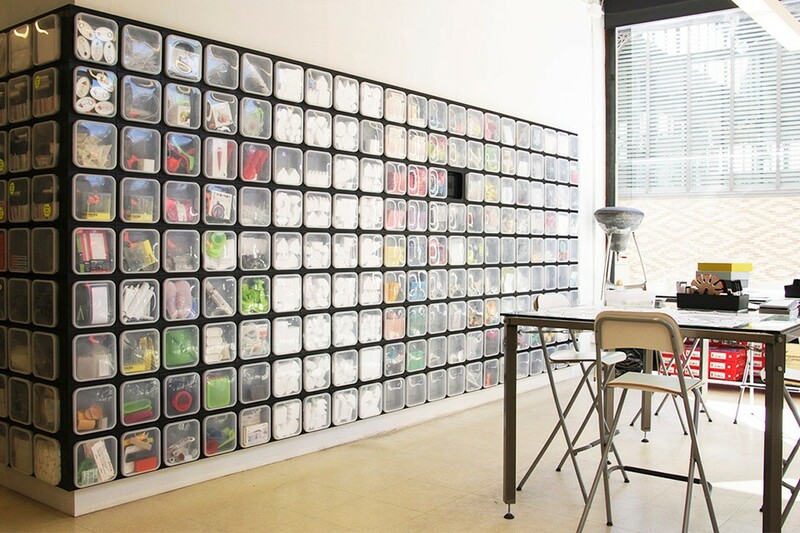 Apart from being a practical storage solution, the Manual Thinking ® Box is a great element for defining creative workspaces. Think of offices, co-working spaces, stores, schools, museums, hotels and restaurants. The elements of the Manual Thinking ® Box offer a neutral grid matching with any interior. 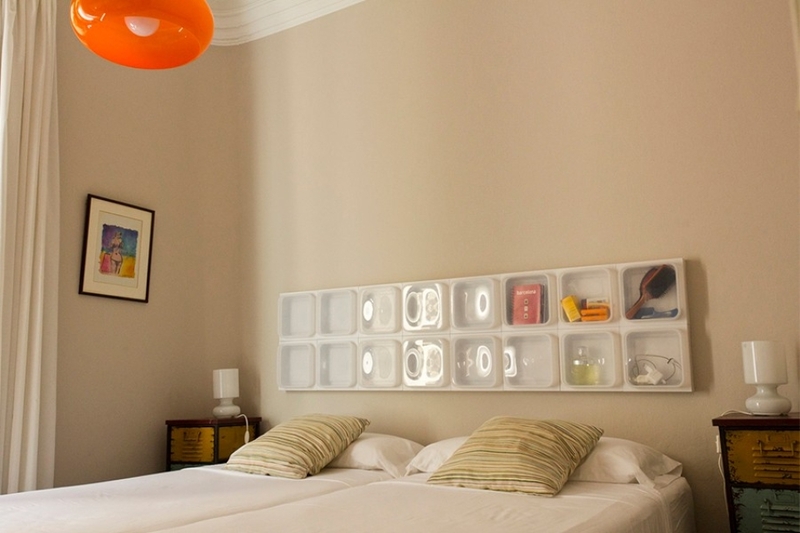 The wall is customized by placing objects related to the use of the space inside the boxes. The result is a wall full of inspiration and interaction for employees, clients or visitors. Installing the Manual Thinking ® Box is especially interesting for public spaces where visitors are encouraged to participate or interact. With all the content at sight and at grasp, anyone can locate and take out what they need to spontaneously take part in the activity the space has to offer. 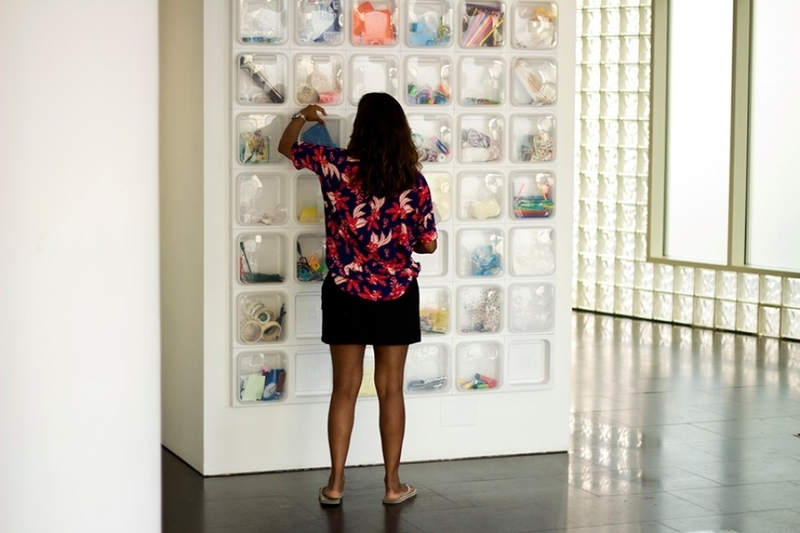 A good example is the creative workspace of the MACBA museum where kids can make art with many handicraft materials. Or what about the interactive bed head installed at the Brun Bead & Breakfast Barcelona? Interested in installing the Manual Thinking Box in your space? For larger quantities of orders we offer interesting discounts, and above 200 units we can provide the Manual Thinking ® Box in any color you need. How about the color of your corporate identity? We can help you to plan and set up a creative interior design with the Manual Thinking ® Box. Contact us for a customized offer!